Sarasota, FL. - April 5th, 2019 - In an exciting build-up to ISC West, 2019, Clare and NorthStar have announced a partnership bringing NorthStar’s affiliate program to all Clare security dealers. The program will offer dealers lucrative security funding options for Clare’s market-leading smart home and security platform, including Clare’s secure hub and all Clare encrypted intrusion sensors. NorthStar’s Affiliate Program offers Clare dealers a streamlined environment to fund their monitored security accounts on an ongoing basis. Founded on the principles of transparency and true partnership, Northstar offers innovative business tools, aggressive economics, and a first of its kind residual equity program that aligns the long-term interests of both parties. 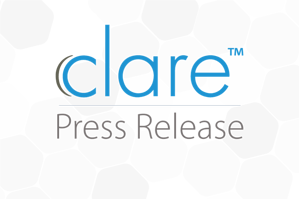 Clare’s smart and secure offering is a unique blend of a cost-effective, scalable, and full-featured home automation and advanced wireless security solution integrated into a single platform. It was designed from the ground up to offer dealers options for generating additional RMR through subscription-based revenue streams. Clare products are available exclusively through SnapAV to over 12,000 dealers nationwide. SnapAV is a manufacturer and distributor of technology solutions that are reliable, profitable, and trusted by custom integrators around the country. ., easily accessible through an intuitive website and backed by award-winning service and support. With a vast catalogue of today’s most popular brands, SnapAV is the premier choice for custom installers across the globe. Additional information about SnapAV and its products can be found at www.snapav.com.